What it looks like: The Lake Oku clawed frog is extremely small at an average size of 30mm and dark brown in colour. Their bellies are speckled black on an orange background and its back feet feature claws at the end. This species is entirely aquatic and do not leave the water. Developed extra chromosomes throughout their evolution, having 12 sets. The species are native to one small crater lake in Africa. Where they live: Lake Oku, northwest Cameroon in Africa. Habitat: Mesotrophic freshwater lake surrounded by mountain rainforest. Threats: Primary threats include stochastic events, given the small area they occupy. Risk of introduction of predatory fish species in Lake Oku and habitat degradation around the lake. 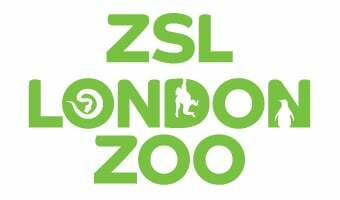 ZSL’s conservation work: ZSL London Zoo was the first place in the world to breed the species in 2014, allowing keepers to gain crucial insights not only into the requirements of the adult frogs but also their tadpoles. Prior to breeding at ZSL, none of this had ever been seen in zoos or the wild. Now that the reproductive biology is known we can feed this information into conservation management of the species in Cameroon. The knowledge gained from our captive breeding has been widely disseminated and could be used to establish conservation breeding programmes in Cameroon should lake oku frog populations crash in the lake.